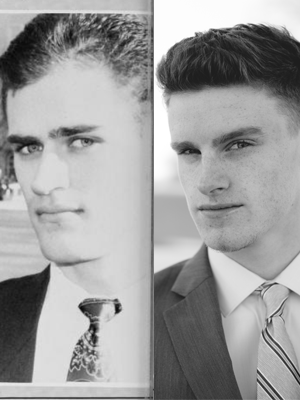 Trevecca sophomore Chad McAdory and his father, Mike McAdory (’92), come from a long line of Trevecca graduates. Three generations of family members have been involved in Trevecca’s PR groups over the years. Updates to campus play an important role in Trevecca’s future, so we asked Chad, a worship arts major, and Mike to weigh in on the changes they’ve seen over the years. What changes have you seen to Trevecca’s campus over the course of your relationship with the University? Mike: I came [to Trevecca] because of the people (Gerald Willis, Michael Johnson, PR group members) and family connection to the school. My dad lived in Tidwell, and I’m pretty sure my mom lived in Hardy Hall. Hardy was gone when I arrived, and Tidwell was [used for] religion faculty. I lived in Benson. With the exception of minor updates in the gym, including much-needed A/C, every building has gone through a major renovation since I was a student. Chad: I was here every year for TNT since seventh grade. I was heavily involved in vocal and instrumental performances at TNT. So the biggest change so far is just the music facilities. I remember one year I had a trumpet solo and had nowhere to practice because all the practice rooms were taken in Wakefield. Now there are the practice rooms in Jackson and Wakefield, so there’s much more practice space. What recent projects have you been most excited about? Chad: The Jackson Center for Music and Worship Arts. Music is just my life. The new instrumental hall is beautiful, and the acoustics are awesome. And places like Pulliam Plaza—people were using it the day of the dedication. I’ve met 8 or 9 people there I would have never met before there. Spaces like that are important for community life. Mike: Most exciting to me was easily the Jackson Center and remodeling of Wakefield. Some of us with music-related majors over the years have felt like it was long past due. The Jackson and Wakefield projects will directly benefit my son and put us in a better position for recruiting music students. Part of Trevecca’s DNA is its close-knit fellowship and family atmosphere. Having space on campus to “do life” together helps foster one of the things we do best: relationship. As we head into the future, why do you think Trevecca still matters and makes a difference? Mike: TNU changed the trajectory of my life. My parents met there. My wife’s parents met there. Melinda and I met there. And now Chad is a student, and TNU is shaping his life. I’m so thankful for TNU. Being on campus feels like home.